SALE! Originally $85; now only $68! Cleopatra would have worn this necklace with pride. Stunning transparent to golden yellow citrine tusks with gold plated lattice beads and 14K gold filled clasps and fittings. 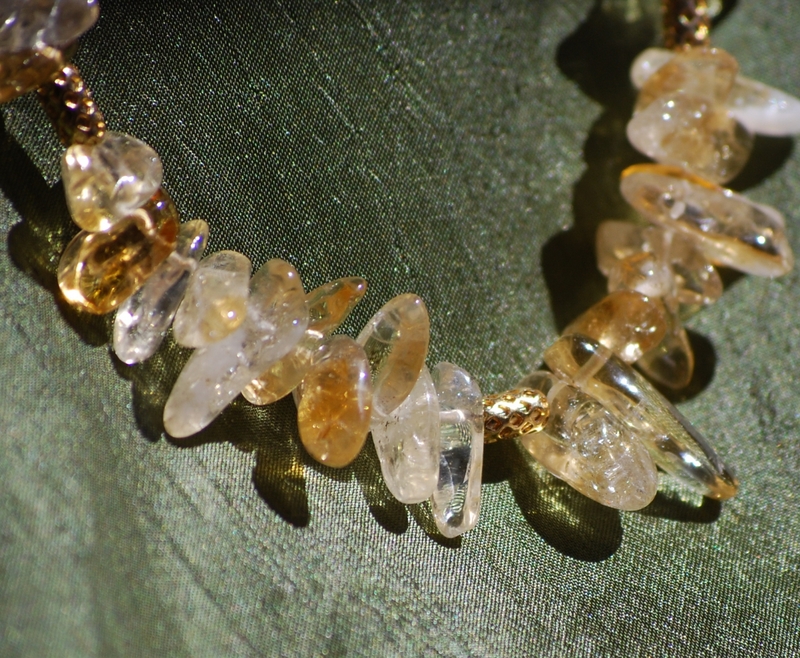 As I strung each bead, I was amazed at the rainbows in these citrines. Each individual bead is lovely, but together, the effect is stunning. This necklace has classic appeal and will never go out of style. This necklace is 17 inches long. 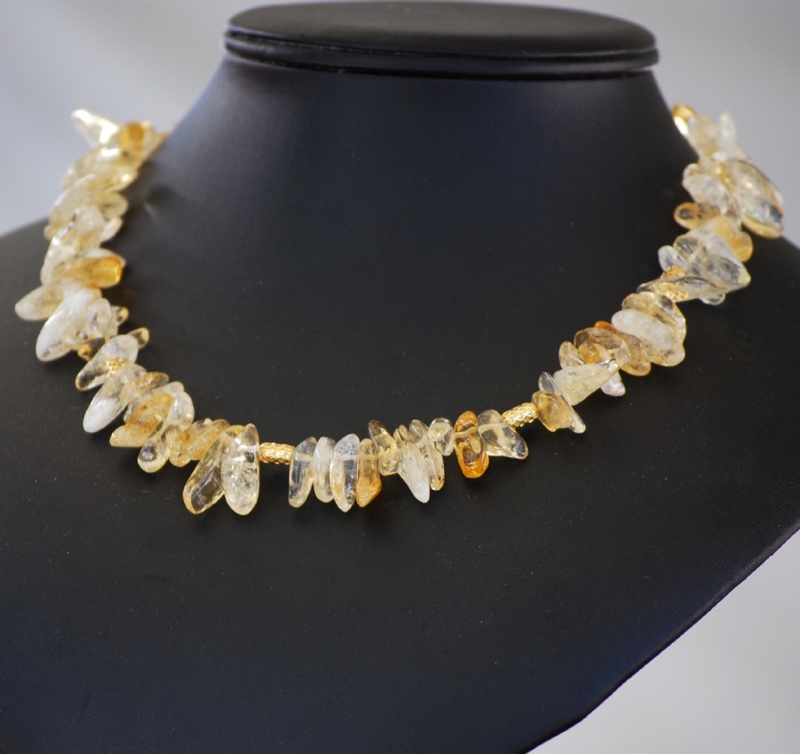 Metaphysical: A power necklace: Associated with success in business dealings, abundance and prosperity, citrine promotes optimism and encourages harmony in both at home and at work. Citrine is associated with the yellow color ray, which can help us release unnecessary "baggage" and to aspire to the next higher state.